WB Moore proudly participated in one of the most upscale hotel additions to the Charlotte skyline — the Kimpton, a 19-story luxury hotel on the corner of Third and Church streets in the Uptown district. WB Moore proudly participated in one of the most upscale hotel additions to the Charlotte skyline — the Kimpton, a 19-story luxury hotel on the corner of Third and Church streets in the Uptown district. It is across the street from Romare Bearden Park, with rooms and hotel balconies overlooking BB&T Ballpark, home of the minor-league Charlotte Knights baseball team. 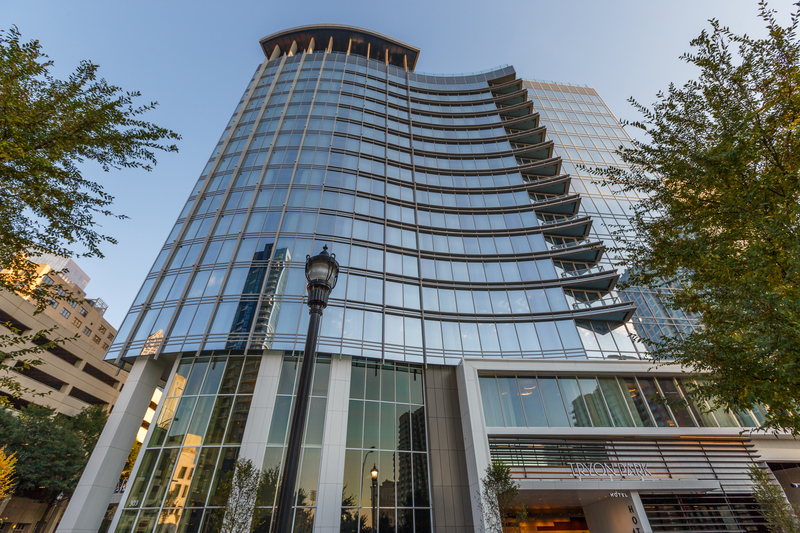 The Kimpton is part of a larger commercial development with Spectrum Properties, which also built the new 300 S. Tryon Street commercial building for Babson Capital. WB Moore was one of three electrical contractors selected to work on this site, along with two union contractors. By having this many electrical contractors working on the same project site, coordination and collaboration were critical to the success of everyone’s scope of work. One Duke Power utility vault on the site provided all the necessary power for the entire project. This single point required WB Moore to coordinate, purchase and install electrical distribution equipment that aligned with the distribution requirements for other phases of the project. It also required coordinating with other electrical contractors on routings for conduits and bus duct and equipment installation. 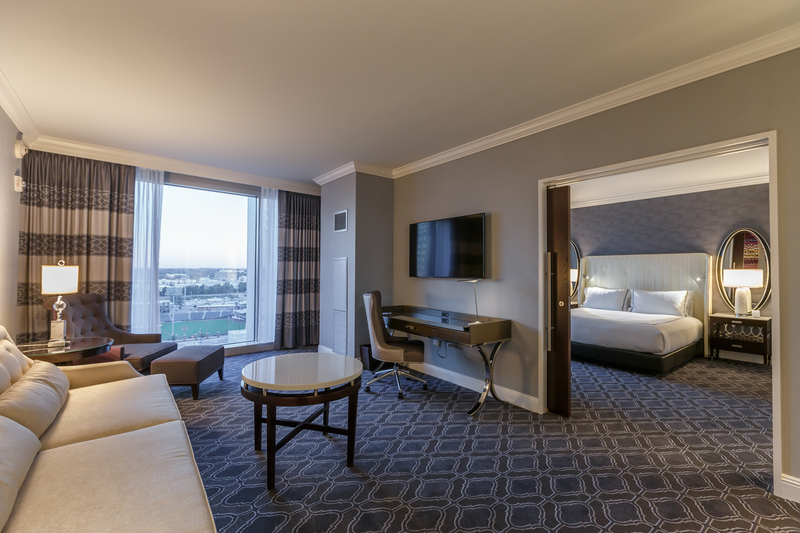 This luxury hotel has more than 9,000 square feet of technologically advanced, Class-A meeting space. In addition to the boardrooms, meeting rooms and conference rooms throughout the lower levels, it also has a large ballroom with abundant pre-function space. These rooms are designed and built to encourage elegant events such as weddings and receptions. Leading up to these thoughtfully created areas is an elegant and ceremonial staircase in the lobby, with handmade lighting fixtures built in Lynchburg, Virginia. 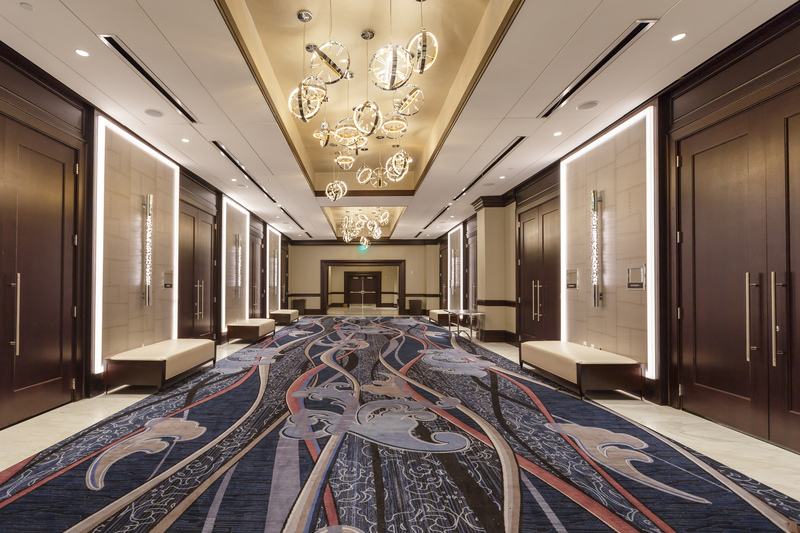 These lighting fixtures are not only the centerpiece of the beautifully stunning lobby, they are also a part of the ballrooms, pre-function rooms, boardrooms, meeting rooms and conference spaces. 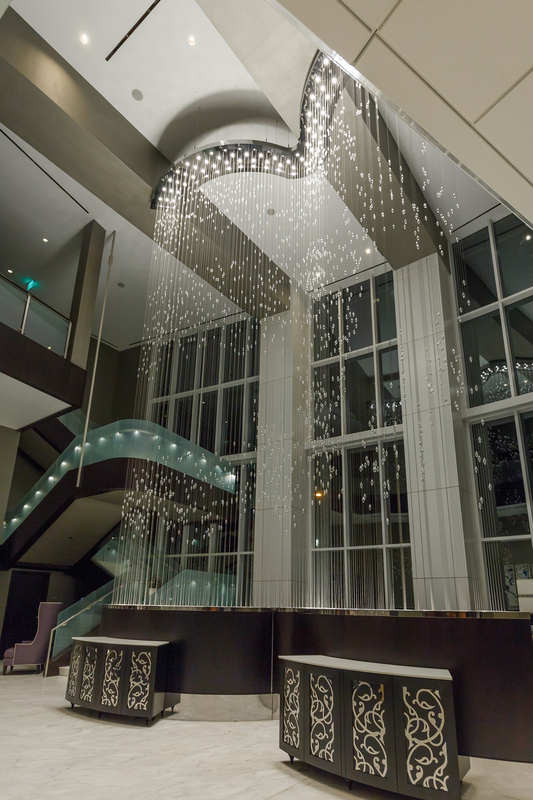 The Kimpton also considered control of natural lighting when designing the elegant lobby areas. Since the lobby level was designed with a two-story, glass exterior wall facing the west, a tremendous amount of sunlight shines brilliantly into the lobby area late in the day, as the sun sets. 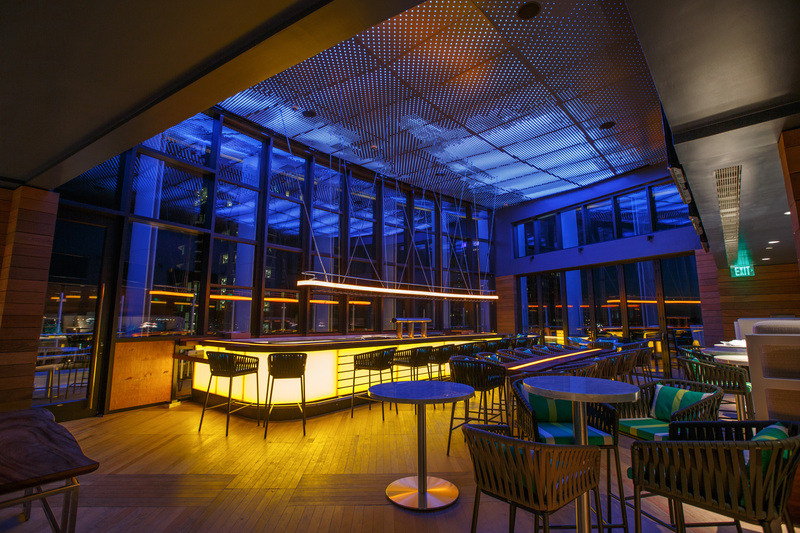 Instead of using typical window treatments or other manual methods to block out the sun, the Kimpton invested in new technology used in only one other facility in Charlotte — a window system called ViewGlass (View Inc.) that’s installedat the lobby level exterior. It uses electrical current to produce various tint levels in each window pane. The technology allows each window to become darker as the level of sunlight intensity increases. On cloudy days, the glass can be highly translucent. On sunny days, the glass can have a darker shade.